Found badly injured at the LaGuardia Airport in NY, LaGuardia was likely harmed by a blast of hot air from a jet engine. Both of his wings were badly fractured, requiring surgery and care from rehabilitators. VINS became his permanent home, due to his not having strong enough flight for hunting. LaGuardia still had quite a few dark juvenile feathers when he arrived in 2014, leading us to suspect that he was only a year or two old when he was injured. At first, LaGuardia acted very afraid of people, but he has gradually warmed to our visitors. 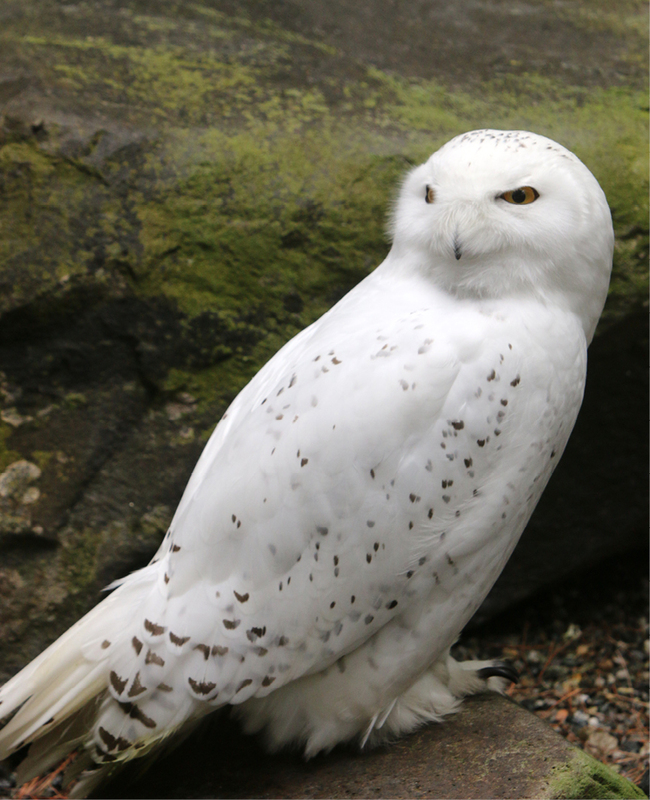 He often sits directly on the ground, or very close to it, much like wild snowy owls would do while living in the wide expanses of the Arctic tundra. Like all of our exhibit birds, LaGuardia receives regular health checks twice per year. Our rehabilitators are especially careful to check on the condition of his permanent injury. LaGuardia’s diet consists mostly of mice and rats, with the occasional piece of rabbit. 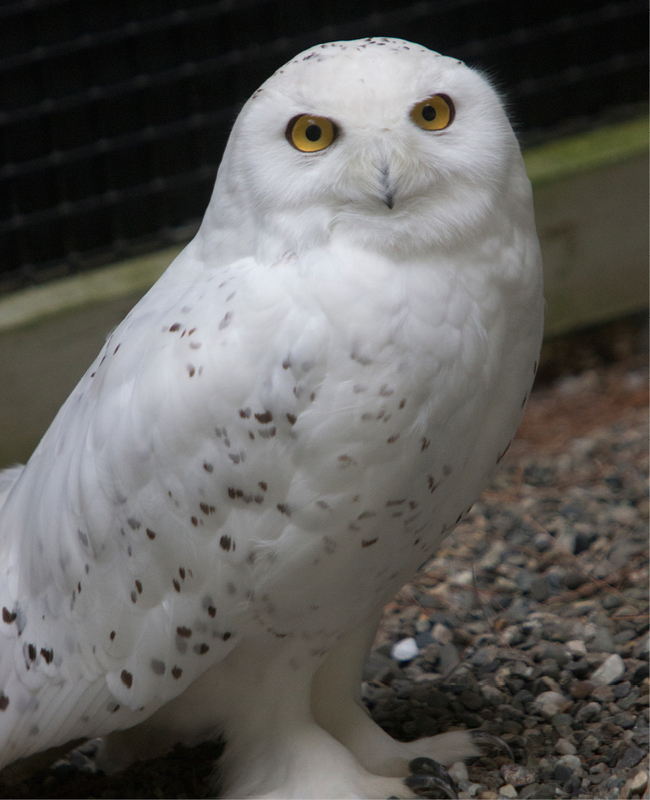 Thank you for helping support the care of our Snowy Owl, LaGuardia, through the RISE Adopt a Raptor Program. Together, we can protect our natural heritage through education, research and avian wildlife rehabilitation. 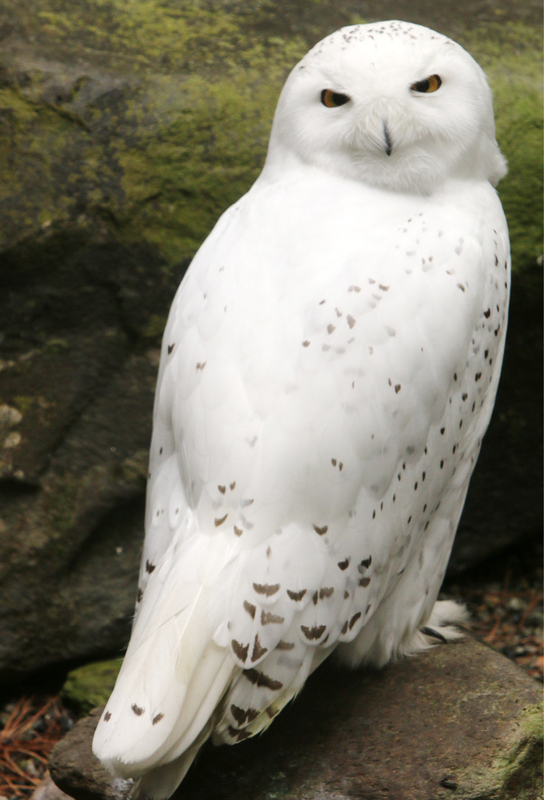 Adopt LaGuardia for $25 and receive an Adoption Certificate, Species Fact Sheet and Digital Photo.